No Place Like Home, Inc.: Private Duty Nurses (LPN/RN) Needed! No Place Like Home – Pediatric Home Health is a pediatric home health agency caring for children in Shelby, Tipton and Fayette Counties. We offer quality care to our patients and strive to create a community of love and care for our nurses and families. We LOVE hiring compassionate, hard-working and dedicated nurses to join our team. Trach Experience: Competent in total trach care: suctioning, cleaning, changing trach ties/trach. Vent Experience: Strong skills in a home Trilogy or LTV vent. Flexible Availability: 12 hour shifts, weekends, nights, evenings ( 8 hours ). Contact Procedures (How the applicant should apply for the position.) To be considered for hire, please APPLY on our website @ NPLH.us. For any questions, please call Chelsea @ 901-853-3999. Sign-on bonus available after meeting employment requirements. Call for details. Comments Off on No Place Like Home, Inc.: Private Duty Nurses (LPN/RN) Needed! -Prepping and cooking meals on a daily basis, by following recipes and dietary guidelines. -Responsible for maintaining excellent safety and sanitation standards within the department. -Also responsible for helping to maintain kitchen stock areas and helping to check in/ put away stock as it is brought in. -May be required to work at different campuses, as needed. -Have at least six months of cooking experience in a school system, putting up stock, lifting, standing, serving meals, following health code. 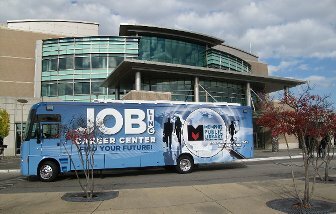 The Memphis Crisis Center (MCC) is looking for a team player with their own transportation to manage a transportation hotline. The MCC would welcome those looking to reenter the workforce. The Transportation Coordinator would work as part of a Mobility Management program to better connect seniors and disabled citizens to transportation choices to access health care and other wellness services.